I used to be a champion at suppressing my feelings. Outwardly, I felt I had it all together and was a master at presenting an outer front of contentment and ease as I approached life challenges. I was the happy go lucky; so easy to get along with; placating Pollyanna who just got on with life and never felt angry, sad or let down. Now don’t get me wrong, I have been blessed with a pretty glass half full approach to life, but I was absolutely not this person wholeheartedly. I was in denial to a whole part of my authentic self; whilst underneath a mass of seething resentment and anger was bubbling. If it dared to surface, this was stuffed or starved in secret through the use of food to keep this perceived shameful part of me, well away from others. And why such determined denial and avoidance of this part of me? Well in addition to the shame, I felt guilty. Yes, incredibly guilty for daring to have my own thoughts; my own feelings. This was undoubtedly going to ‘rock the boat’ and upset others. They wouldn’t like me. I would be rejected. The problem, (as I learned so well!) with NOT acknowledging your true feelings is that they don’t just go away. They tend to build up under the carpet to produce a pretty big pile of unacknowledged fury or upset, waiting to erupt one day when suddenly there is no room left to push them anymore. One day you might find yourself suddenly feeling overwhelmed with sadness, anger or anxiety in relation to something you might consider to be quite a small trigger eg: stubbing your toe; but the floodgates open and stored emotions flow from months of stifling them away. This is often when you might find yourself feeling very down or depressed; crying uncontrollably or constantly feeling ‘bad’ inside but you can’t put a finger on why. You might also find yourself starving, bingeing or obsessing about your weight much more than usual, this then causing you dissociate from your true self even more. Done regularly you might well also start to doubt how you really feel. You have slowly lost touch with the real YOU. 1. Start a journal. This can be a place just for you to write down everything and anything in an uncensored way. As you do this, you will start to gain clarity and understanding of your inner world. 2. Open up to someone who you can trust to listen and accept your feelings without judgement. Sometimes our closest friends and family members are not able to do this. With good intentions, they have an agenda for us and might want to direct or persuade us in a certain way. Choose the trusted person carefully. 3. If you don’t know how you feel, try and put the feeling into a word or image. 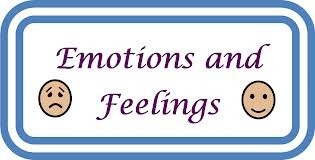 Sometimes you might find it much easier to describe feelings through pictures or language than actually using ‘feeling words’. 4. Notice how you feel in your body. When you really mean YES, then you might feel more energised; more excited; more alert. When you say YES but you mean NO your body might feel heavy and a sense of dread may loom in your stomach. This is different for everybody and you will need to become accustomed to your inner cues. 5. Take time to pay attention to your inner world. If you are busy, busy, busy, then feelings don’t really get a look in. You may well be missing out on valuable cues and intuition which could be guiding you in your choices and decisions. Please do post below if you have something to share. If you would like to get in touch about working with me to explore some of these issues further, I would love to hear from you. I am passionate about helping you to eat all the foods you love; and feel great about your body without disordered eating or dieting. This post has prompted me to dig out my journal from the back of my bedside table. It's about time I opened up to myself. Thanks for your feedback Heather. A journal is a brilliant way to get in touch with your feelings and to understand who you really are. Good luck with it! Is Easter chocolate making you anxious? Emotions. Why do I struggle to deal with them?